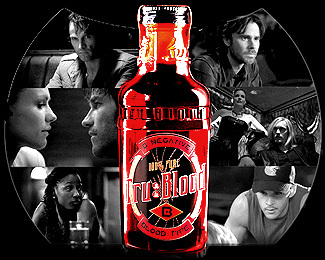 True Blood Filming Locations: Bill's House. A. In Bon Temps, Louisiana. A. This is the home of Bill Compton, the lead vampire on True Blood. Like Sookie's house and Merlotte's Bar, Bill's house is one of the primary locations on the show, so it is seen often, and appears in most episodes. It was the Compton family home, and since there were no other survivors from his family, Bill inherited the old house. We first see it in Episode 3, when Sookie encounters the trio of nasty vampires who were visiting Bill (and who were later burned to death after they moved into their own vampire nest). In the second season, Bill is forced to bring home the teenage vampire Jessica home, to share his house. Q. What is it actually, in real life? A. A 150-year-old plantation home (plus a set copy). 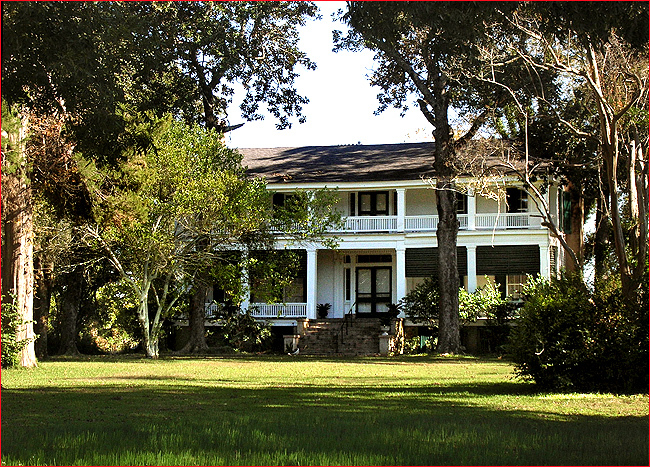 The exteriors of Bill's house were originally shot at the Roseneath Plantation in Louisiana. Built in 1845, the home also served as a hospital for injured soldiers during the Civil War. 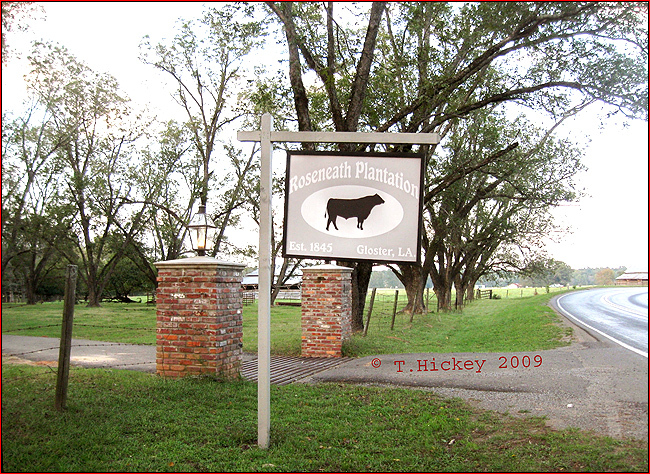 The plantation takes up a large parcel of tree-filled land (much of it dotted with cattle), on both sides of the 4900/5000 section of Highway 5, midway between Gloster & Kingston, Louisiana. That's about 20 miles south of Shreveport & about 10 miles north of Mansfield, LA. After shooting the original establishing shots at the Plantation, the producers then built a replica of the front of the house on rented private property in the Santa Monica mountains, south of the Malibu Creek Ranch, near Calabasas. They also built Sookie's house there, and the Bon Temps graveyard in between the two. These were used for extended outdoor filming. The aerial photos of the area are poor, and the house itself is somewhat hidden behind a grove of trees, so it's not really visible from Google StreetView. Finding it on maps isn't easy. But the photos below and the Google StreetView panoramas below show the location of the road leading to the house, which is right across the street from two low brick gateposts and a sign reading "Roseneath Plantation". You'll find the entrance road at 5035 Highway 5, about 3 1/2 miles east of Gloster, Louisiana (and about 4 miles west of Kingston). (Google StreetView maps it to about 4971 Hwy 5.) The nearest cross street appears to be Bethlehem Road (about a quarter mile to the southeast). 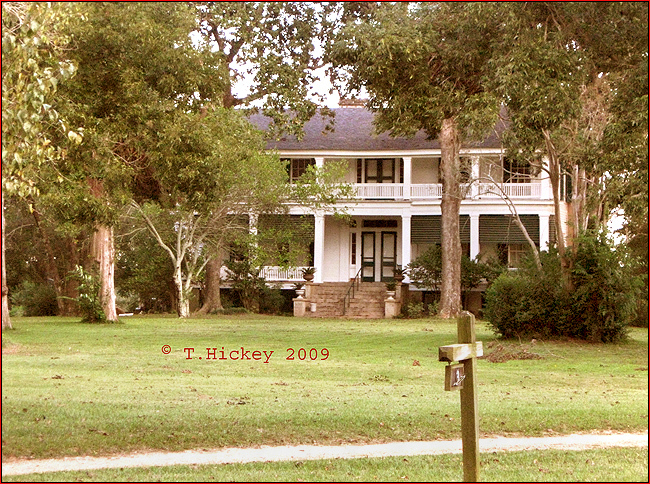 The plantation's brick gates are on the north side of the highway, but the house is located across the street, off the south side of the highway, tucked away behind a cluster of trees. A. Fortunately, this was no secret. 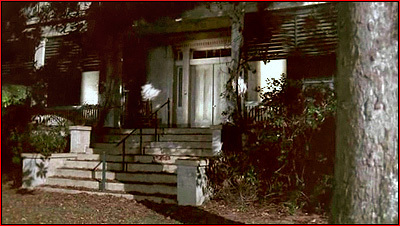 In media interviews, the producers openly discussed where they had shot the exterior, and mentioned the Roseneath Plantation. It was then just a matter of tracking down the house, which wasn't as easy as it sounds. There isn't much on the web about the place that mentions its location. I was able to narrow it down to a general area off Highway 5, but I still wasn't been able to precisely pinpoint the house. Fortunately, Michelle Patton, who had just finished a trip to Louisiana to tour the "True Blood" sites, helped me find the exact road leading to the house. Thanks, Michelle!